In this painting I made the most of a flat light day by adding brightness to the foreground and infusing plumes of smoke to draw attention to the building. 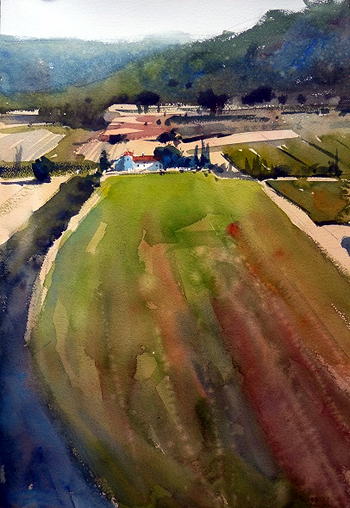 I painted this watercolour as part of a tutorial in Provence. 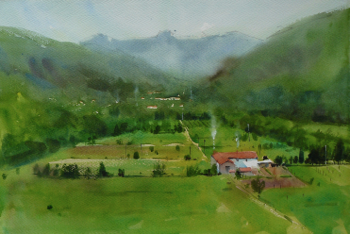 The view was from the village of Menebres high up the hillside, looking down into the valley. 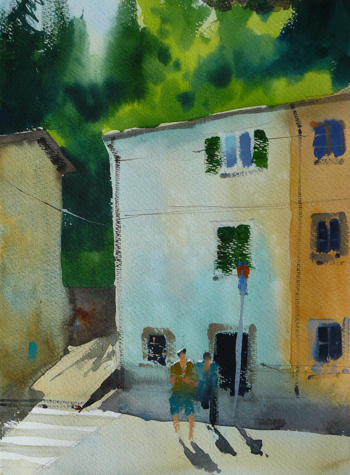 The aim of the painting was to show the focus of a design and completing the picture with a sense of immediacy. This was a demonstration of light and shadow, starting with pale washes and building the shadows before adding the detail. 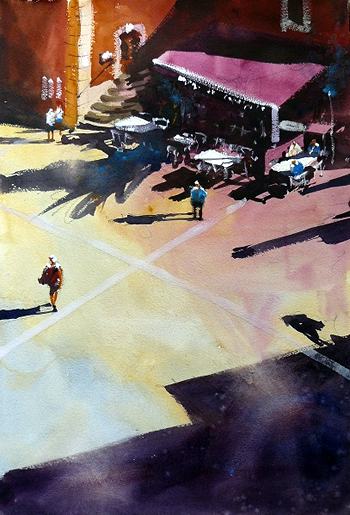 Here I aimed to capture the bright colours of the red and ochre buildings bathed in Provence light. This was quite an immediate painting using lots of mixed colours on the paper to reflect the intense light, then enjoying the abstract shapes that shadows often create.